was the pen-name of a Japanese poet active in Showa period Japan. He was one of the closest disciples of Masaoka Shiki. His real name was Takahama Kiyoshi. Takahama was born in what is now Matsuyama city, Ehime prefecture; his father, Ikeuchi Masatada, was a former samurai. At the age of nine he inherited from his grandmother's family, and took her surname of Takahama. He made an acquaintance with Masaoka Shiki via a classmate (Kawahigashi Hekigoto), and it was Masaoka Shiki who gave him the pen-name of Kyoshi. © WIKIPEDIA has more ! "The various levels of haiku poets". Some are famous and skillfull, others are just beginners and trying hard, but all are welcome in the family of haiku poets. as expressed through his nine positions of the hands. haiku must center on the nature itself. "ari no mama ありのまま", as it is. kacho fugetsu, the traditional themes of natural beauty in Japanese aesthetics, representing the beauty of nature. hakozuri 箱釣 (はこづり) "fishing in a box"
World War II, with its inevitable restrictions on freedom of speech, put Japanese haiku writers in a difficult position. Along with other writers and artists, they were force to support the government's wartime policies. The most they could do to show their disagreement was to declare, as some of them did, that they were primarily concerned with plum blossoms and bush warblers, and not with the war. Others chose to sing about the war, but with a detachment of mind that indicated neither agreement nor disagreement with the war policies. In any case haiku poets were overjoyed when the war ended in 1945. They could now express themselves more freely than ever before. Within a year's time more than three hundred haiku magazines sprang up all over Japan.
. WKD shinkoo haiku 新興俳句 New Rising Haiku .
. On the death of Masaoka Shiki . when he was looking out of the window in a night were he could not sleep. It was shortly before his death, where the Buddhist "Paradise in the West" was waiting for him. Kyoshi Memorial Day on April 8 is celebrated in Kamakura at Temple Jufuku-Ji (Juufuku Ji 寿福寺) and according to his will later a memorial was erected at Mount Hieizan Temple and a celebration took place here on October 14. This day was later called the "Western Anniversary". There is another famous haiku by his daughter Hoshino Tatsuko, which started the anniversary being called "Western" nishi. Harajuku is a busy station in Tokyo. In this column we have looked at many haiku poets under the influence of the Hototogisu School, which is also the foundation of the World Haiku Club. We have also looked at haiku written by non-Japanese poets that have a feel along the lines of the school. It is therefore an apt time to look at its founder once again. Kyoshi Takahama (1874-1959) represents not only the modernization of haiku, which his mentor Shiki Masaoka (1867-1902) began, but also the mainstream of the entire Japanese literary tradition. This haiku normally comes at the bottom of the popularity chart when shown to Western haiku poets. They simply do not think it is a good haiku. So much so that I have long wondered if they really understand haiku at all, or if Westerners will ever understand Japanese literary perceptions and sensibility in real terms. That is our story. Their story is that according to their haiku rules, bad haiku poems are bad no matter who wrote them. Their belief that they are right is so strong that nothing can ever persuade them otherwise. It is indeed historically important to recognize that one of the masterpieces of Kyoshi has been so derided in the West. "There is a special providence in the fall of a sparrow" (Hamlet, Act V, Scene II), though Kyoshi neither philosophized nor was as verbose as Shakespeare. For most Japanese haijin a paulownia leaf will never be quite the same again after reading this haiku. Shigure is winter rain that falls intermittently and often unexpectedly. It is the rain that Matsuo Basho (1644-94) loved for its indescribably desolate and forlorn qualities. In this haiku, Kyoshi was very much conscious of Basho's penchant as he shared the deep feelings the rain aroused in the great poet's heart. Here, we also sense an almost Shakespearean perception of a natural phenomenon pointing to some deep truth of nature and man. Only people in countries with rice paddies will get the sense of this haiku. Rice is "the" sacred crop in Japan. This is still the case even if many Japanese eat more bread than they do rice. The sight of young rice plants in early summer or of golden ones ready to harvest in the autumn gives eternal pleasure and a sense of security to the Japanese. Rice paddies that are invisible because of the blanket of snow combine a sense of uncertainty with a hint of expectation for things to come. Some say that severe winters guarantee good rice crops. Meiji otoko (men born in the Meiji era 1868-1912) were and, if alive, still are men of few words. They retained the old Japanese idea that silence was golden and spoken words were not to be trusted. Chit-chat belonged to women and children. Small talk and gossip were nothing but a symbol of frivolity and superficiality. Haiku, a form of poetry with few words, was a godsend for them. Thinking men were also seldom verbose as what they said was more often than not a result of eliminating as many unnecessary words as possible. When you have the best single malt why contaminate it by blending it with all sorts of inferior drinks? Written such a long time ago, this haiku remains an enigma as to the true meaning Kyoshi intended for it. All manner of theories abound. Some say that Kyoshi wanted to emphasize the continuity rather than the separation of time by artificial dates or ceremonies. Others maintain that the point is the surprise of Kyoshi when he realizes how some things remain unchanged despite the arrival of the New Year--a time at which everything is supposed to appear fresh, new and different. I rather think that this is a typical display of Kyoshi's sense of "asobi" (being bemused) in that he finds all the seriousness associated with the New Year--or any conventional wisdom for that matter-- to be funny and irksome. I detect the same sort of teasing here as can be seen in some of Picasso's works. Typical icicles seen in Japan hang from the eaves of people's homes. They are normally things to be appreciated. Children might sometimes use them as swords to play with, but it takes a lot for an adult to be bemused and venture to break one. Kyoshi usually adopts a serious "face" and approach that were fitting and proper as a master of haiku masters in Japan. So it must have been fun sometimes for a man of his reputation to strip away his acquired armor of respectability and authority. There is a gentle allusion in this haiku to a famous poem by Kobayashi Issa (1763-1827) calling on a motherless sparrow to come and play with him. So the lightness (karumi) and sense of humor are the essence of it with Kyoshi watching the spring snow come to his sleeves until it vanishes so quickly with a sense of affection and amusement. This is another example of typical Kyoshi. While other people were busy trying to depict the whiteness of white peonies, his attention homed in on the faint pink of the flowers, which in a sense is more beautiful than just the white alone. In a way this symbolizes how he tried to see what others did not or failed to see. Once he showed it, then all the others imitated him, while he moved on to reveal something else to which the rest were still blind. Thus they were never able to catch up to him, which is a sad fact of being a follower rather than a leader. Kyoshi was a handsome man. Female followers often had a crush on him, including Hisajo Sugita (1890-1946). I do not know whether this haiku is referring to his romantic liaison with women other than his wife. Such a speculation is probably neither here nor there. What is important is that this love haiku is as good as the ones written by that genius of love poems, Masajo Suzuki (1906-2003). The haiku brings to mind scenes from the film Brief Encounter. Instead of Rachmaninov's Piano Concerto No. 2, we hear the sound of the lovers' geta clogs in the days when such clandestine meetings were conducted with utmost care. What the woman was doing walking in bare feet I do not know. Maybe this was in the countryside and the woman was a peasant whose habit it was to walk barefoot. Maybe she was so frightened that she came out of a house without thinking. Maybe the string of her geta clogs was broken in the rain and she had to walk without them. One wants to know what is going on here because one feels very strongly that this haiku reads as if it was written by Basho. It has such timelessness. It can also be seen anywhere in the world, giving it universality. It shows Kyoshi's deft hand. Here some other informations about Takahama Kyoshi. Richard Gilbert talks with Udo Wenzel"
Thank you so much for doing my homework ! 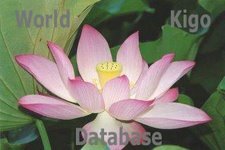 Kyoshi is a controversial figure in haiku politics. I am mostly trying to show the meaning behind the words, especially kigo, in a haiku. It is always good to see many angles to form one's own opinion about a person and apart from that, about his work. "Hototogisu" was first published on 15th, Jan. of 1897 (Meiji 30). This Haiku magazine had about thirty pages and it was 0.06yen (6-sen) a copy. This magazine had 300 circulations and edited by Kyokudo Yanagihara. The number twenty of "Hototogisu", published on 31st, Aug. of 1898 (Meiji 31), was the last number published by the publishing office of "Hototogisu" in Tachibana-cho, Matsuyama, which had been based on "Shofu-kai in Matsuyama". Shiki composed the following Haiku celebrating the first issue of "Hototogisu". The Hototogisu was first published "
In 1898.Oct. (Meiji 31), the editing of "Hototogisu" was succeeded to Kyoshi in Tokyo, and it made a fresh start as the central magazine. Shiki gave the following account as for moving the publishing office of "Hototogisu" to Tokyo.
" Hototogisu should not die from the first, even if I would die. And yet, It just would be the day I should die, if "Hototogisu" would die. "Hototogisu" is nothing but my own life!". Hekigotou and Kyoshi, called the two greatest authority of pupils under Shiki, had been in the same class of Matsuyama Junior High School and lived in the same lodging at that time when they entered the Third High School in Kyoto. They were so friendly to call each other "Kyotou-an Hermitage". In 1894 (Meiji 24), both of them withdrew from school and went up to Tokyo to stay with Shiki-an Hermitage. On 19th, Sept. (17th night of the lunar calendar) of 1902 (Meiji 35), Shiki died, aged 36. After Shiki's death, Hekigotou apart from the literary style of "shasei - sketch" and searched eagerly for the new trends of Haiku in pursuit of the new phase. He started to composed the free rhymed Haiku not to stick to the fixed form and the theme of the seasons. This style took the turn to Shrindou and Santouka. The other hand, Kyoshi put Soseki's novel "I am a cat" on "Hototogisu" in 1905 (Meiji 38), and devoted himself entirely to novels, but he opposed himself to Hekigotou's new trends on the grounds that the free rhymed Haiku will destroy the concept of the theme of seasons and fixed form of 17 characters and made comeback to the world of Haiku. He composed Haiku, that would be carved on the haiku monument in Bancho Elementary School, to make up his mind of that time. 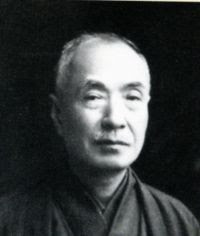 In 1933 (Showa 8), Hekigotou expressed his retirement from the world of Haiku at the celebration of his 60th birthday, and died in 1937 (Showa 12), aged 65. At Hekigotou's death, Kyoshi composed the following Haiku prefacing "I used to be close and compete with Hekigotou". Tops would repel each other"
Kyokudo took up the post of chief editor in Iyo-Nichinichi newspaper company in 1906 (Meiji 39) and later he was raised to the president of the company until 1927 (Showa 2). In 1932 (Showa 7), he first published the Haiku magazine "keitou - a cockscomb" that was discontinued at No.118 in 1942 (Showa 17). The works of Haiku that were originated by Shiki when he came back to Matsuyama in 1895 (Meiji 28) and took a walk on the outskirts of Matsuyama, were edited as "Sansaku-shu of Shiki's posthumous works". It's too much famous that the posthumous was found out Gakan Kondo kept it and published in No.9, Vol..2 of "Keitou" in 1933 (Showa 8). In 1943 (Showa 18),"Shiki Association in Matsuyama" was established by Kyokudo's advocating. This association have been succeeded up to the present by not only Haiku originators but also official and private sections in Matsuyama in a body to throw light on Shiki's brilliant achievements. Mastuyama Municipal Shiki Memorial Museum opened becausu of one of the tide ranged to Shiki that has been entertained by lovers of Haiku and all citizens in Matsuyama. In the autumn of 1946 (Showa 21), the Haiku meeting celebrating 600th issue of Haiku magazine "Hototogisu" was held in Senshuji Temple. Kyoshi returned home from his place of refuge, Komoro in Nagano Prefecture, and the construction of Kyoshi's Haiku monument was arranged by Kyokudo's proposal at that meeting. In 1951 (Showa 26) of the 50th anniversary of Shiki, Kyokudo (aged 85) said a few words by way of greeting together with Kyoshi. He died on 7th, Oct. (14th,Aug.of lunar calendar) of 1957 (Showa 32) at the age of 90. You have left this world"
Mokuzen Sakai did a lot for the world of Haiku in Matsuyama, as the president of "Hototogisu", who settled in Matsuyama to study Haiku under Shiki. Kusatao Nakamura was from Matsuyama by origin too, who joined the Haiku association of Tokyo University and contributed haiku to "Hototogisu". "Hototogisu" was succeeded by Kyoshi's first son, Toshio and his daughter Teiko Inahata, after Kyoshi. In 1980 (Showa 55), "Hototogisu" finally got to the No.1,000 for the April number of it. He made a point of keeping firmly the tradition of Haiku to object and challenge to "The new trend movement" made by Hekigotou in 1913(Taisho 2). He called his group "Group to keep old type" and challenged "The new trend movement" to a fight. This Haiku was originated at that time. He was after the plasinness and aftertaste of Haiku called "Kacho-Fuuei" in the world of Haiku and finally came to prescribe that Haiku is the poem of "Kacho-Fuuei" in 927(Showa 2). "Kacho-Fuuei" have the meaning of the natural phenomena occurred by the change of the seasons and the human phenomena with that. He said Haiku is the poem to compose "Kacho-Fuuei" and "Fuuei" is the admire comming into one's heart too. At that time, his view of Haiku have been carried through by keeping the two big rules - 17 characters and Season word - and composed "Kacho-Fuuei" at a point of the objective literary sketch. "Hototogisu" editted by Kyoshi had come up to the number 1,000 at last, at the April number of it, in 1930(Showa 5). Kuwabara Takeo's "Modern Haiku: A Second-Class Art" ("Dai-ni geijutsu: gendai haiku ni tsuite") created quite a stir when it first appeared in the journal The World (Sekai) in November 1946. It was one of a number of essays by postwar critics who vigorously attacked the cultural chauvinism that had characterized Japanese society in the years leading up to the Second World War. The argument can best be followed in the translation itself, which is presented here with a minimum of interpretive comment. Haiku by leading modern poets appear in the pages of our postwar magazines just as they did in magazines before the war. But until recently I hardly ever bothered to read them, in the same way that I never paid much attention to the little block illustrations the magazines carry. I have already had occasion to observe elsewhere that one reason for the insipidness of post-Meiji Japanese fiction is a lack of intellectual and social self-awareness on the part of our novelists, and that the most likely model for this casual approach to the creative process is haikai poetry (see the February issue of Humanity [Ningen] and the September issue of New Currents of Thought [Shincho]).1 Whenever I make this point at one of the lectures I am invited to give, I am always taken to task afterward-at least with respect to haiku-giving me fresh cause to appreciate just how deeply rooted the influence of haikai has become. Some of these verses, by contrast, are impossible for me to understand, and as a result they take on no definite shape in my mind. To begin with, I do not even understand the meaning of numbers 3, 7, 10, 11, and 13 as Japanese. My small group of educated readers admitted that they also could not make sense of them. I doubt that anyone would even have the patience to try unless told beforehand that they were the work of famous poets (Kusatao, Seisensui, Takashi, Aro, and Kyoshi). But art is meaningless unless the work makes it possible for the experience of the artist to be reproduced in the person who admires it. The clearest evidence for this artistic failing in modern haiku is the vast number of books and other writings meant to clarify or interpret the haiku of modern poets, including the explanations produced by the poets themselves. One can see the need for such guides when dealing with the customs and usage of an earlier and very different age. But it is decidedly strange when people living in the same country at the same time in history find them necessary, and also strange that the guides themselves should rely so heavily on paraphrase, the least artistic of interpretive techniques. That the person regarded as our most sincere haiku poet finds himself forced to say something like this seems to me to point to the decline of haiku as a modern art. The next discovery made by me and my friends when reading these fifteen haiku was that a single verse provides little basis for judging poetic talent, making it impossible to distinguish the first-rate poets from the amateurs. There is no reason to judge Kyoshi's "I have been told/that the sand covered everything/up to these glehnias" as superior to "I walk on the wheat—/a cold wind has been blowing/for several days now" or to the verse about chirping birds that I took from a railroad magazine. And both of the latter haiku struck us as being more poetic than Sōjō's "a bowl of rice gruel/hardly makes for a hearty meal—/flowers on the mountain." This surely cannot be the mark of a truly modern art form. When I gaze at the statue of Kannon in the Yumedono, no thought of the identity of the sculptor enters my mind. This is because the statue has an existence completely divorced from that of the sculptor, and that is what makes the experience so special. I am not using the word "school" here in the same sense that "party" is used in modern politics, but in a sense more appropriate to a medieval guild. An element of mystification therefore comes into play. The role of the leader may be clear enough, but mystification demands recourse to some ancient authority, much as the guilds of medieval Europe each avowed a particular tutelary saint. For haiku poets that saint is Bashō, and their scripture consists of terms such as sabi, shiori, and karumi. Bashō himself did not leave us with clear definitions of these terms, and as a result today's poets find themselves in the enviable position of being able to say things like "Haiku, myself, and the great spirit of nature are but three names for the same thing" (Arō). That an artistic form like haiku was able to exist unchanged for some 300 years would seem to tell us something about the stability—or stagnation—of Japanese society during that time. Haiku is a genre in which any effort the artist makes to influence society leaves no trace upon the work itself (this was the reason, I think, that young people fond of literature who took positions in business or with the government were regarded favorably by their superiors if they expressed a taste for haiku, yet left a bad impression if they said they wrote novels). But the general populace these days has forgotten the classical tradition, or at least no longer takes much interest in it. Their taste runs instead to modern Western art, whether or not they really understand it. Shūōshi was being honest and entirely correct when he wrote, "The proper range of subject matter for haiku consists of natural phenomena and everyday life as it is affected by changes in nature." No one would presume to criticize the elderly for devoting their spare time to bonsai or the cultivation of chrysanthemums and holding the occasional exhibition or publishing a magazine or two (although thirty is overdoing it). ... If one still insists on using the word "art," modern haiku should be called a "second-class art" to distinguish it from the other kinds. of the linden trees . . . Eating Matsuyama Sushi together . ..
. Toosei ki 桃青忌 "Green Peach Memorial Day" for Matsuo Basho .